STEM Profile Series: Pearl Chen – Ladies Learning Code @learningcode @PearlChen « Adafruit Industries – Makers, hackers, artists, designers and engineers! 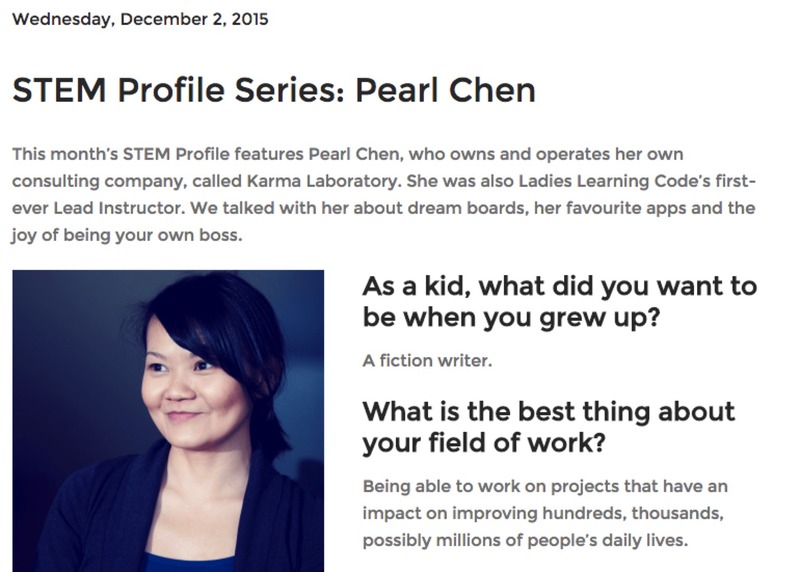 STEM Profile Series: Pearl Chen – Ladies Learning Code. This month’s STEM Profile features Pearl Chen, who owns and operates her own consulting company, called Karma Laboratory. She was also Ladies Learning Code’s first-ever Lead Instructor. We talked with her about dream boards, her favourite apps and the joy of being your own boss.